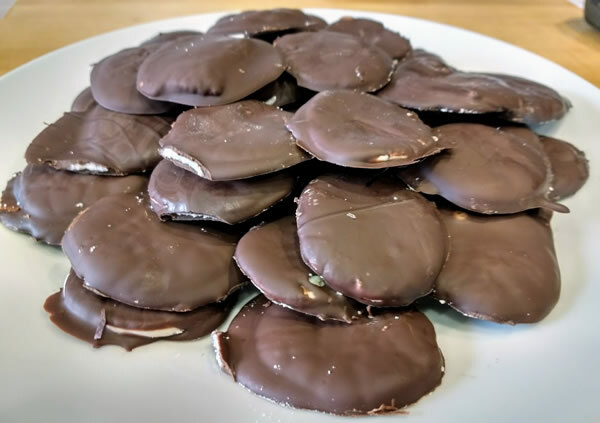 Today is National Peppermint Patty Day. So naturally I had to make peppermint patties, because why not. I admit, that until this challenge, peppermint patties were not a thing that ever crossed my mind one could make at home. But it turns out they are shockingly easy! This is the recipe I used, although there’s lots of varieties out there on the internets. Hooray for the internets! First you stir together a large quantity of powdered sugar with some sweetened condensed milk and some peppermint extract. An electronic mixer is going to be your friend here because basically you are actually making your own fondant and it is *stiff*. Taste it at this point, to see if you want to add more peppermint extract or not. 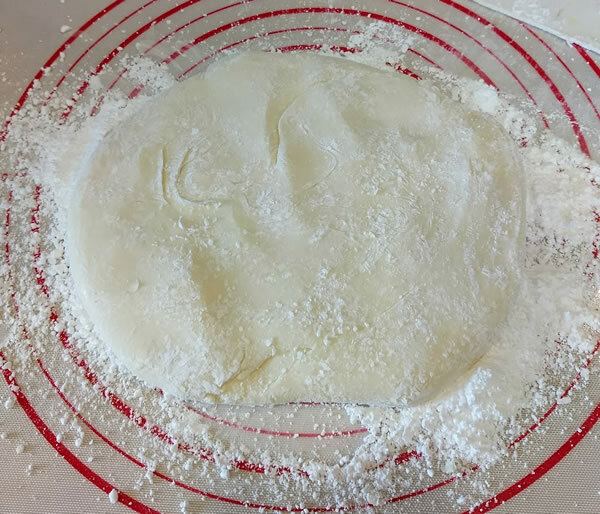 Then you dump it onto a powdered-sugar-covered surface, and roll it out. Next you cut it out into little circles. I happen to have a set of circular cutters, one of which was the right size, but you could easily use the top of an appropriate-sized jar, or you could roll the stuff into little balls and flatten them with your fingers, or you could just cut them into any shape that isn’t round. Go crazy! Those go into the fridge to chill, and also to give you time to get the chocolate ready, which is just baking chocolate (or chocolate chips if you prefer) melted and mixed with a dash of oil to keep it from being too thick. Once the little discs are chilled, then you get to make a ginormous mess. Um. I mean, you dip them in chocolate, and unsuccessfully avoid getting it everywhere. Or maybe that’s just me. Those go back into the fridge to chill, and when they’re done, you have peppermint patties! Verdict: These are delicious and taste just like a York Peppermint Patty, except that they’re more…uh…rustically shaped. They should be stored in the fridge, so the chocolate doesn’t melt.